For most, something like carbon monoxide poisoning is going to be far less likely than a fire or other issue. That being said, it is important that proper safeguards be taken to protect your family from both and having the right detector can make all the difference. It is important to know what a CO detector is before you make any decision about whether you need one or not. This type of detector is designed to detect the presence of carbon monoxide fumes in the air. There are both detectors and alarms and both will keep you safe from carbon monoxide poisoning. An alarm has a sounding that alerts you to the presence of CO while a detector does the same but may or may not have a sound. In the late 1990s Underwriters Laboratories changed their definition of a single station CO detector with a sound device in it to a carbon monoxide (CO) alarm. Carbon monoxide is a colorless, odorless, and tasteless gas that is produced by the incomplete combustion of materials that contain carbon. Most often, this occurs when something is burned like kerosene or other elements. Most people are unable to identify any potential leaks so it is important that if there is any chance that CO is in the air, that it be taken very seriously and the source of the leak be found before any real issue takes place. A smoke detector works to detect smoke from potential fires in the air. In most cases, this type of detector is going to work with the help of an infrared beam that is emitted through the eye of the detector. When that beam is broken by smoke, the detector sounds to alert those in the home of a potential fire. This type of alarm is essential for those that have that have a home in order to make sure that their family and home are safe. You can also get a break on your homeowner’s insurance if you have a smoke detector in your home. 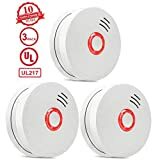 It is important that you keep fresh batteries in your smoke detector at all times and that you make sure it is working monthly so that you can keep your family and home safe. There are pros and cons to both types of detectors. 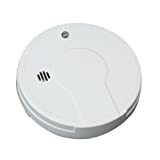 Smoke detectors are a must as fires are far more common than most people imagine in the grander scheme of things. Most homeowner’s policies will actually require that you have a detector in place to keep you safe and to make sure that the home is secure and safe in case of fire. A CO detector is completely up to you. In many cases, CO is not something that everyone is going to come in contact with. You may want to add a CO detector to your home dependent on a few different factors. 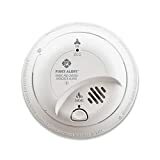 For starters, if you have a home that has a fireplace or a wood burning stove you may want a CO detector as these are both common sources of CO.
You may also want to invest in one if there has been a previous gas leak in the home or if there has been CO reported in the home at any time. You can always talk with your installer to figure out what type of sensor is going to work best for you and to see just what type of detector is going to work best for you.